Hello John, Last week I had a chance to speak with doctor who works as psychiatrist in a hospital. We spend more than hour in coffehouse and discussed all this solar maximum staff and influence of the pressure of the sun to behavior of human. He as psychiatrist has one interesting point of view. He sad, that clinical experience shows, that people, who are exposed to any type of pressure for certain amount of time are able resist less and less with duration of time. Short time pressure we are able to resist very well, even if the pressure is very strong. But as time passing by, and pressure last longer and longer, we are less and less able to resist even to pressure much more weak, than was the initial strong pressure. That means, it is not important how strong the pressure is, but how long last. He says that during the solar maximum is not important the time of actual peak, when sun pressure makes the highest pressure on as, because certain amount of people can still be able to resist its influence at that point of time, but more important is the end of a plateau, when even much, much smaller flares can finally break the neck to rest of people who are not ready to resist any more. Everybody has different ability to resist a pressure (any type of pressure, not only from sun) and needs different time to finally succumb, but statistically: more time somme pressure last – more people are going to surrender. That means less amount of people will act direct on solar maximum point, and much bigger amount could act at the end of plateau, even if flares are much more weak. Especially this is valid for cycles, where plateau is long in duration of time. Sunspots are still elevated at the end of plateau and are still pressuring on as. There are some examples time to time in newspapers of families where man has for example tortured (beaten for example) his wife, and she has resist all of really big threats from him a long time. But finally after many years of torture she suddenly killed him because he smashed a dish, or made some other unimportant damage – definitely not reason to kill him. But she was exposed to pressure for such a long time, that even small thing break her neck. And the big previous threats didn’t. So the principle is the same. So if this is the case, than equities can rise very well until the end of plateau, which I suppose is not expected next six months. John, one of your follower on this page – Mark, wrote at the october or november of the previous year, that gold’s timing is pointing to major turning points around January 2014, end of July 2014, March 2015 and May 2016. This fits very well with my expectations. His first turning point was proven right perfectly, that january date was exact and very meaningfull bottom in gold . The second turning point should be end of july, so we will get proof very fast, if this time it is working again or not. 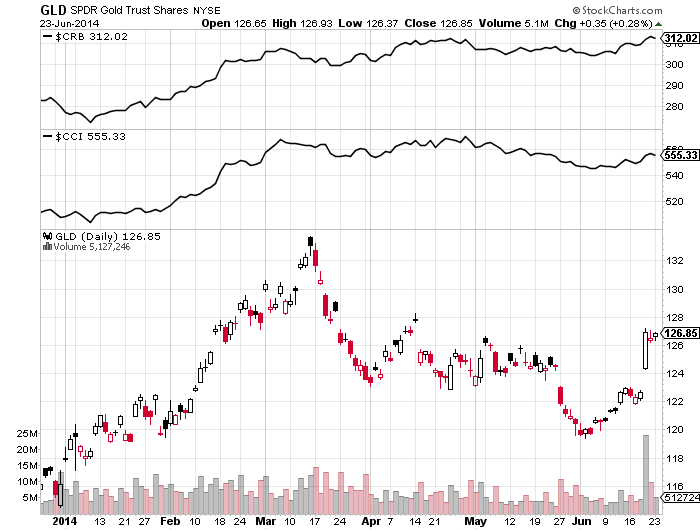 If I am correct, it possibly should be very meaningfull top in both gold and silver. It should be the top of whole post january rally – I have target for SLV around 25, no target for GLD. The nice thing is, that we will get evidence very quickly – the end of july is only one month ahead. If we will get proof, that this turning point has work perfectly again, than I will be very carefull to not respect the other two of them. So if this will be the case, than I expect march 2015 to be a low, but of course question is, if higher low, or lower low compare to january 2014 low. I don’t know of course, but if this will be lower low, (and I sad IF) then this should be a final low in gold and silver bear market. In my view, Gold and silver will not launch final secular speculative mania rally, until equity market will stop rising, because they need capital leaks from equities to commodities to create final top. So my conclusion from all of this is, that if march 2015 turning point will be THE low of gold bear market, then equities probably should rise until then. So no peak in stock market right now. John, say, we will have somme correction in equities to clear extremes in many indicators which are shown in your last articles, and which are clearly unsustainable, but after decent correction – let say until end of the year equities in my view can rise again in powerfull santa claus rally at the end of the year, and overextent this final santa rally until the end of january 2015 and possibly also february to final top. 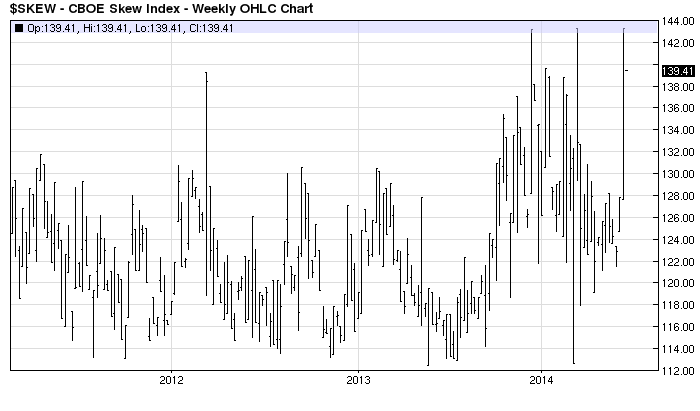 Then, when equities finally starts to roll over, we can have final low in gold bear market in march 2015. And if it is, so then the last Mark turning point in gold – may 2016 shoul be a final top in gold and silver secular bull market. Thanks Peter for such a good insight. But, as @apanalis pointed Gold and Equity May NOT be correlated with each other even when Gold is more correlated with Real Interest Rates and Equity with Earnings. Peter – there were two more of these turning points for gold in this sequence, which I didn’t mention before as they had already passed. These are late September 2012 and late June 2013. So you will see that these are not necessarily a series of alternate highs and lows in perfect sequence. Rather, they are points in time where significant changes in sentiment occur, causing price to move off in a definate direction. My own view is that gold is more likely to move higher from late July. But if it moves lower, as you suggest, then interestingly there are two major descending trendines which intersect with my preferred buying level at $1033 around March 2015. If that happens, a lot of precious metal investors will really be feeling the pressure by then, if there are any left at all..! Mark, are you suggesting 2015 as the final low and 2016 as the final secular top? That would be some serious parabolic velocity in about a year’s time. Do you have a static target or dynamic target based on monetary statistics ? This fits very well with what I wrote and graph of gold shown there fits with your 1033 gold level as well, almost perfectly. But of course I know, that we never know in advance whether next turning point will be top or bottom. 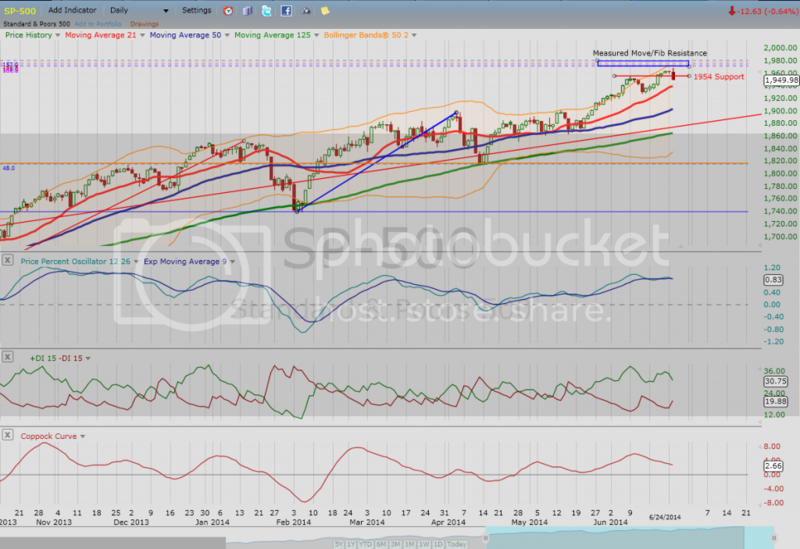 But late of july is not likely to be a bottom in my opinion because we are allready on the way up right now. Peter/Joseph – the case for a decline into a March 2015 lower low is compelling, and I personally would like to be afforded the luxury of buying gold around $1033 then (with a spike down to $990). I take your point Peter that a rise into late July would look different to the previous turning points. As for May 2016, I don’t know what that will bring; but a new sequence will have become apparent by then. I used to have $8800 in mind for gold, but now I believe a loss of faith in many currencies and the banking system has been baked-in; and that is likely to manifest itself as hyperinflation. Mark, thank you for your answer. Please, can you clarify what you mean in last sentence of your other todays post (which is little bit below this one but there was not replay button, so I am writing here) when you mentioned that your previous target 8800 for gold is no valid any more? I am not good in english, so I didnt get the argument. Am I understand it right, that your actual target is higher than 8800 because you expect inflation? Or you meant that this ecpectations of hyperinflation are allready discounted in price and the real target will be lower? Thanks a lot. Peter, $8800 is a figure that repeatedly occurred to me when I looked at previous gold price history versus monetary base and government debt, realistically inflation adjusted 1980 gold high, Fibonacci extensions of gold price action since 1999 etc. It could still be valid I suppose, but events over the past year or two have made me think that we should now expect much more extreme outcomes. There’s what you’ve said above about the phsycology associated with SC24; there’s the minor lunar standstill next year and the series of total eclipses until 2016. We have european officials telling us that banks will fail soon, and the new bail-in laws have been finalised in EU US and UK. The very rich are desperate to get rid of paper money ($65Million starting bid for a Stradivarius viola recently etc), and I know some other “ordinary” people who have been doing the same. All of these things, in my opinion, point towards an increasing loss of faith in paper currency over at least the next two years. Under these highly unusual circumstances, gold and silver would reach astronomical levels so I don’t think any calculated target is going to be realistic. Many say that hyperinflation cannot happen in a major country (they can’t forsee it happening because it hasn’t happened yet), but if ever there was a time to expect the unexpected it is coming… Soon! Thanks a lot Mark for your thoughts. I confirm all you write, Peter. Congratulations. Only disagree, second part about no peak in stock markets rigth now, and peak in 2015. Gold cycle not necessary depends on equities. Secualr Dow Jones cycle demands a notable correction, it must have been taken place from oct´13 and it was elevated-hiked by the FED to 17K, like 1909-16-19 structure. My final peak, as I wrote befor is in jun´14 or sep´14, as all my indicators are signaling me. I also can be wrong but is certain that time-pressure cause bad influence. Yes Antonio, you are right, I agree with you that gold cycle does not necessary depends of equities, so we can theoretically make peak of stock market right here or at september 2014 and still have bear market in gold until march 2013. I am not excluding this possibility at all. But this is not important, I think important part is that condidion for excessive speculation will be here until end of plateau, (maybe it will not be speculation in stock market but in precious metals, or commodities market as whole), so it is not so critical to know whether solar maximum allready peaked in february, or is still little bit ahead, because we still have plenty of time for final rally until the plateau will ends. Hi, Peter, we must observe, examine how developed past Solar Peaks, and you can see is something by approximation, it not accurate, could be, but many times coincides with a peak in the market, but some months before/after, for me is not the best indicator, but an important one, thus, after feb´14 peak must alert and observe carafully the other indicators and the cycle study. Will Dubai be the 1st domino? Can you say Hypothecation failure margin call x 10-40 times leverage trying to unravel? Peter, thank you for taking the time to write about your conversations w/the doctor. why; one of the spouses commented: “I just couldn’t take it anymore”. occur AFTER a solar max. All i learned is trying to outsmart FED and central bankers are fools game. You will look foolish however smart you think you are. Central Bankers will get there inflation, saying will end badly only is a consolation to oneself nothing else. I want to add this should not be considered humiliating John’s postion…just my thought…his blogs is most through detailed..and must read…my only complain is why are we underestimating global CB..what is the rational behind it. with so much debt how can they let the rates go up…how can pension funds get there 5 to 7 percent target return without places to invest. you can’t be oblivious to such things. I agree. While the wages/incomes (as % of GDP) are the lowest in decades, do the CBs replace the role of retail investors to ride the stock market in a style that is going to rival or even surpass the mania in the 90s dotcom bubble? What will be the consequence if so? Looks like another crazy day in the casino. Bears must follow up and close significantly in red for this to be reversal day. I’m no way putting in new short into this dip unless I see a 300pt drop on the Dow within a trading day. I don’t trust it, the bulls are not dead yet, there just dangling a carrot IMHO, saying that within 5/6 weeks they will be. Waiting for that last parabolic bear killer. 120 drop today so far but not tempted 180 drop more and I’ll add big time. I have shorted this large today at 1960. I accept that we have further to run until he positive lunar top on thursday/Friday ….but the set up yesterday and today had to be sold even if it is wrong. Again…..even if this is not a top I always use the “post factum” test …..what would this look like if it did top here. Well it would look like a perfect top. Ergo….sell. Even if it proves not to be. 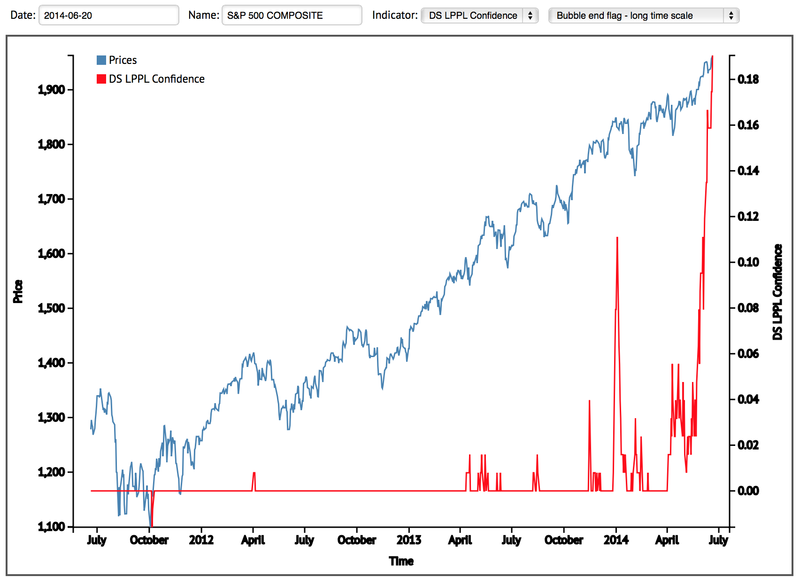 Anyone got a graph showing volume yesterday in the SP500? The day and the 4hour 12 – 4 London time. to signal a change of direction. Interesting US secession in prospect today. The reason why I will be much more aggressive in looking for sell signals and upping my size from now on is that even if you look back at other Pres cycle year 6’s that were in raging bull markets, 1986 or 1998, they still had one down quarter. I don’t believe that this 4th quarter, by history, will be down; therefore, this coming quarter is my bet. For choice, I would like a spike into the new moon or even just into the beginning of July above 1975 or even 2000 but yesterday’s price action had to be sold. 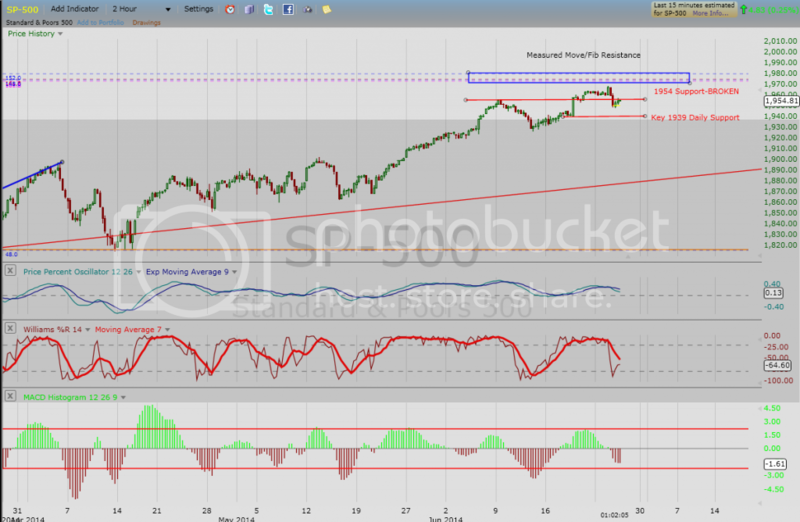 If there is further strength from here I will sell any sell set ups. 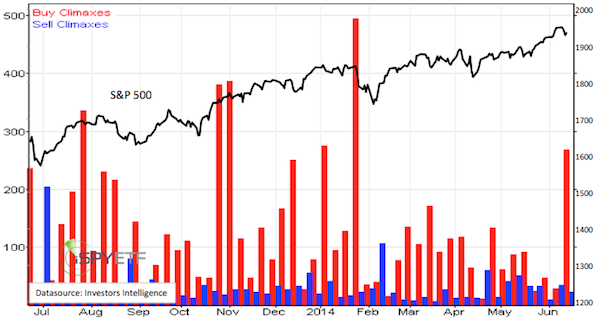 Will, Can I ask why you think Q4 of 2014 won’t be down? Because I read some people believe October may be the worst month due to QE closure. On Monday may just have got bit brighter. Let’s see what they can do today. First (small) export of oil since 1975…what a powerful symbol to the fancy of bulls. The narrative of US energy self sufficiency /energy Renaissance validated. This backstopped market can go higher from here with no regard to TA. .
My scout short and bragging right will have to wait. Lol…Can’t be all shorts …must own some assets. 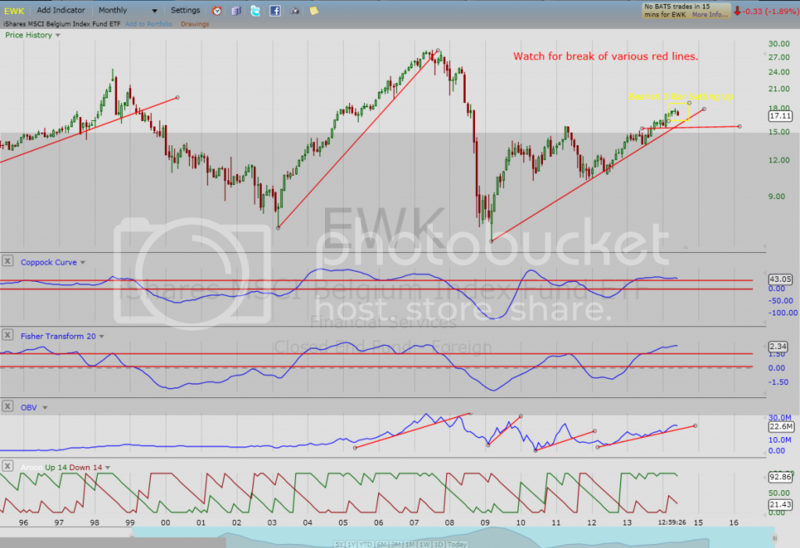 If bears are not able to follow up today then it was just a blip and we will head to S&P 2K in July. 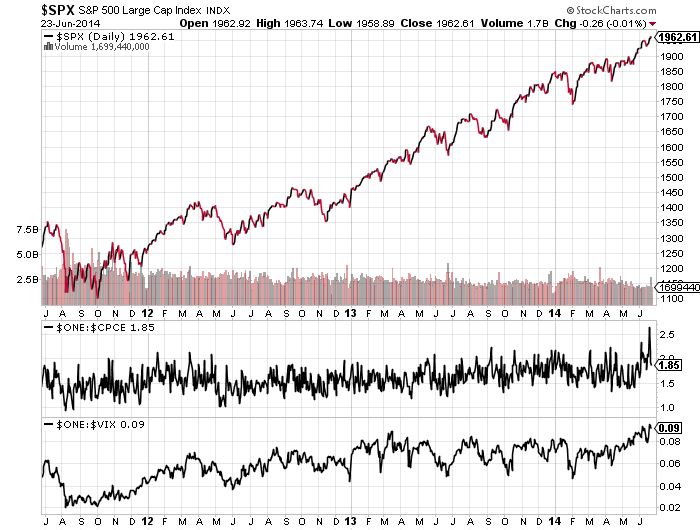 Last shakeout can be qualified as 50% correction of July 12th – July 24th upleg. This may be a time to have a little patience with John’s data and analysis, in my humbly opinion. Loads of Daily Fib Resistance Within points of the Recent High. US suffers full blown recession in Q1. Would anyone in professional money management be buying right here with that knowledge? Please stop call it “Mr market”… market does not exist. just a fraud. Some food for thoughts for the bears.. The Fed and the BOJ are running a scam here, yes, and I doubt anyone in the market does not already know. Market is never wrong. It’s the opinions that we formed comes to define us. We are our worst enemy. Today I bought Deutsche Bank. Why?…because its horrible performance means the ECB has to act and do QE and buy private debts very soon since Mario words is not enough…. This is the game until it is broken.. Be adaptive and on the winning side until we see a central banker policy accident. Gianna, “market is never wrong” in a sense that one has to follow where the price action goes to profit, I don’t think any sensible person will disagree with that. But market is sometimes wrong in another sense that it usually overshoots or breaks down to the extreme, and it will always revert to the mean as a hindsight. No studing cycles is your worst enemy. When the falls cames, everybody is in a hurry, well, in first steps, the masses think is a good opportunity to buy, yes `buy and hold´, nice pull-backs. We can be wrong, but main indicators are pointing out a reversal months ago and must be prepared. Loot ate the Q1 GDP> -2,9%, with massive easing policy. The complacency around the 2.9% drop in US GDP is unbelievable. The establishment has almost total faith in the gov’t’s put and ability to manipulate the markets and economy. The FED is using forward guidance to manipulate the market. Surely you jest, trust those who brought us 2000, 2008, and now. If a recession has begun, this ridiculous faith should be severely shaken. It would show that even their massive manipulation is no longer working, if it ever did. That would be a black swan for sure. I have not read or heard one person who says first quarter was anything but a weather one off. A system is just theory until proven to work. Various unforseen things may surface in implementing the system. I can see a flaw in the theory that you can play successfully the human excitement. The basic theory is this : humans get exited at a solar maximum, so that they create some imbalances in the market. An unexcited human at the solar minimum decides that the winnning bet should be to fade the excitement. But in practice, the fading human gets excited too : he exagerates so that in result he overtrades and goes bust. The missing element is that we are all humans, all at the same solar cycle, so my thesis is that to outsmart the excited humans, the winning system should to control our own excitement….John said himself that he is no longer in the market to make money, but to make big money. Isn’t that excitement?